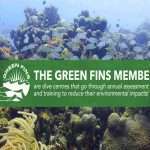 WHAT's INVOLVED IN OUR DIVE TRIPS? THERE IS SO MUCH TO EXPLORE! 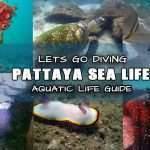 If you are thinking about a chance to go scuba diving in Thailand, you should make a stop and come diving Pattaya to explore the Thai Gulf up north. 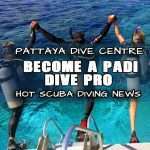 Whether you are an experienced diver looking for a daily dive trip or a first timer looking to try dive you can enjoy a dive in Pattaya. As a matter of fact, scuba diving around the islands off Pattaya and Samae San is all year around! 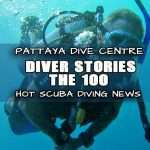 Additionally, keep in mind, Pattaya dive centre can still visit coral reefs and wreck sites when all other scuba dive locations in Thailand close for the monsoon season! Pattaya diving is a hive for Hawksbill Sea turtles which can be found on certain dive sites with 90% certainty! The Macro Life in ways of Nudibranch and Seahorse is also very popular. For one thing, the weather is always warm and sunny in Pattaya. Given that even when we it rains, the water temperature very rarely drops below 30c. By all means, visibility conditions can vary at different times of the year. After all being so high up in the Thai Gulf, the Islands here don’t receive a full tidal exchange to make for crystal clear waters daily. With that said though, so long as we have nice weather on a good day, the visibility can be as good as 20m. 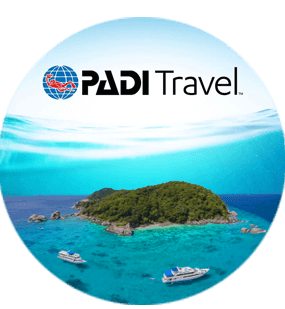 Additionally, you can find as good a selection of interesting aquatic life here as anywhere else scuba diving in Thailand! 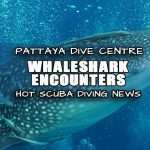 WHEN DIVING PATTAYA WHERE ARE THE DIVE SITES LOCATED? 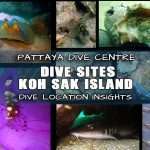 Diving in Pattaya can be separated into three distinct diving areas. As a matter of fact, there are many uninhabited islands perfect for scuba diving off Pattaya’s coast line. First, the closest area is known as the Pattaya Near islands surrounding Koh Larn. 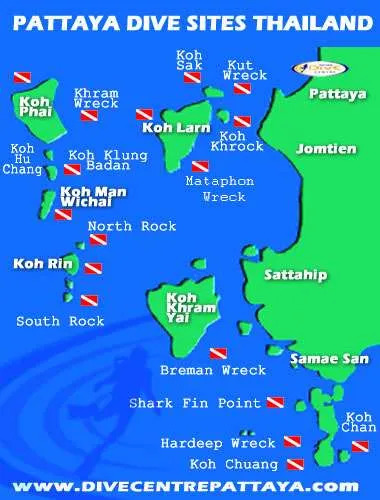 Generally speaking, these are the closest dive sites for diving pattaya. Secondly, the Pattaya Far islands near Koh Rin, on the whole are amazing islands, and finally, just under 1hr down the coast we have Samae San. All in all, these islands are the most secluded dive sites, found diving out of a small nearby fishing village. 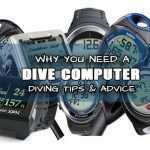 To summarize, each diving area offers lots of different dive opportunities. Altogether they are relaxing coral dives with shallow coral reefs, edged by sands perfect for a quick muck dive excursion. while some area of the reefs fringe off deeper and beg to be explored. 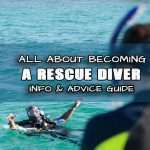 In addition to the protection of the bay dives, from time to time, more experienced divers may opt to join on drift dives. In spite of the waters carrying you across larger expanses of reef and soft corals quickly it’s a lot of fun! Finally, a point often overlooked. 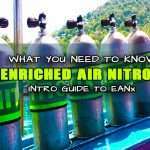 If you get your interest tickled by deeper shipwrecks, you dont want to miss out on Pattaya, because it has some of the best wreck diving in Thailand. 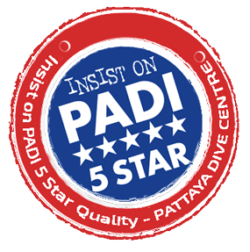 In order to offer the best way to try diving in Pattaya, we own three dive boats. First, Nautigirl (from Pattaya). Second, Enterprise (from Samae san) and finally, Boosabar, our fastest boat! 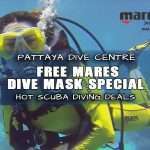 We have the fastest dive boat in Pattaya. In general, we run trips to all three areas most of the dive season. Each boat is well maintained and also equipped. Average time to the diving sites ranges from approx 40min to 2hr depending on the distance of dive site location. 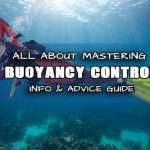 WHAT CAN I SEE WHEN I DIVE IN PATTAYA? 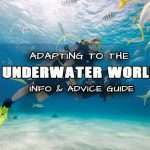 Regular aquatic sightings whilst scuba diving Pattaya include: giant hawksbill sea turtles as well as greenback turtles, which by the way, are not so common anymore when diving Thailand. 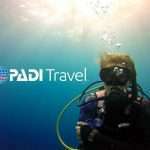 Try diving in Pattaya is great Macro life interests you. The water conditions and reefs here are perfect for Nudibranchs. in effect local dive guides can show you seahorses, not to mention pipefish, Indian walker man and shrimp! Large stock of anemones live around Pattaya hence many Clown fish. While Angelfish, Bat Fish and barracuda cruise the blue. 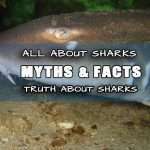 On the other hand, if critters are your thing then Moray eels, Octopus, Cuttlefish are often sighted together with Puffer fish, trevally and sting ray to name only a few of the other daily coral reefs inhabitants. 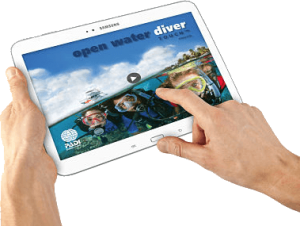 Join us on a 2 dive day trip diving the Samae San Islands. Any trip to Thailand would be incomplete without visiting and scuba diving Pattaya! 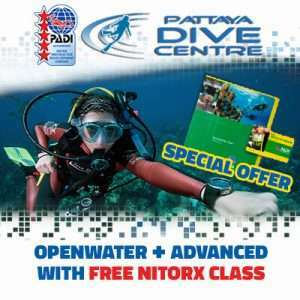 Whether you are experienced or not you will be taken care of and enjoy scuba diving with Pattaya Dive Centre. News Flash! Whaleshark Sighting in Samae San From Sept to Nov! Please book and pay your 1000THB deposit to make your reservation, Full Trip Price is 3,300THB. Your Remaining balance can be paid in store or You can select to Pay Full amount right now, it’s up to you. Thank you. Please book and pay in full to make your reservation, Thank you.